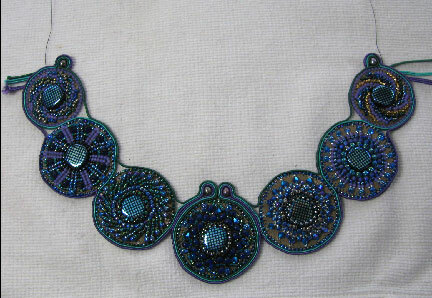 We paused in the tutorial a couple of weeks ago with soutache braid entwining its way up the first side of my necklace. Now the question is, what do you do with the ends?? 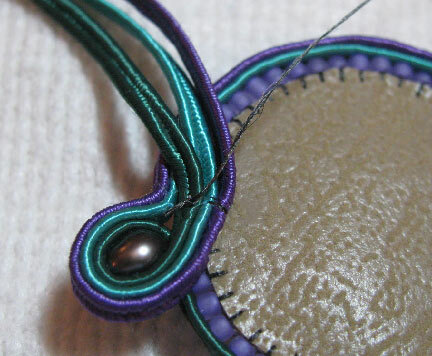 At the top, I wrapped the braids around a pearl, and stitched the ends to the back. I cut the braid ends off to about 2 inches. Here is the completed side from the front. The raw ends of braid will be dealt with later. Stitch the other side to match. At first I thought maybe I should have worked on both sides in an alternating manner, but it really didn't seem to matter that much. Personal preference? Cut a small piece of backing fabric for each side. 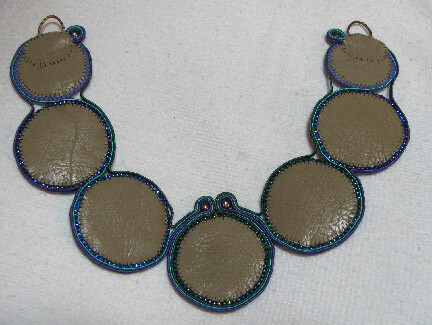 I stitched the ring in place first and trimmed the ends of the braids. 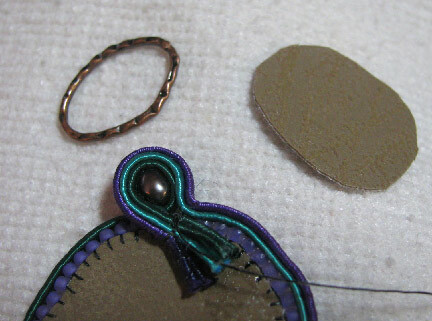 Use Fray Check on the ends and allow to dry before adding the patch over top. Here's a look at the finished back. 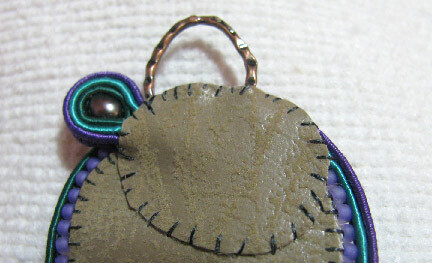 Next week, I'll show you the edges and the rest of the finishing steps. 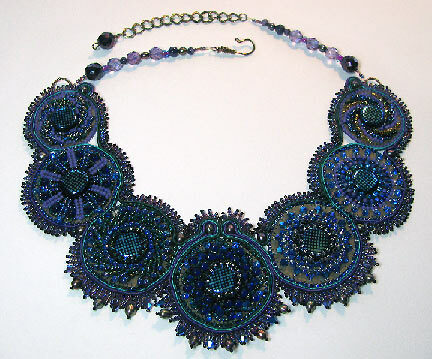 I love the soutache look. 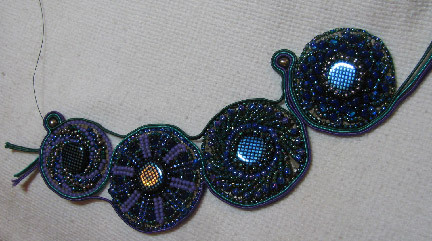 It's a nice finish look and frames youur beautiful beadwork beautifully, Cyndi.